If you’re thinking about moving to Korea, you might just be making the best decision of your life! Obviously, we’re biased over here at Seoulistic, but here’s a list of reasons why living in Seoul, Korea might be for you! Transportation in Seoul is very affordable. The 1050 won (approximately $1USD) base fare is the envy of commuters in other major cities with more expensive public transportation systems. Plus, public transportation in Seoul is super convenient. You can get to pretty much every corner of Seoul only relying on subways and buses. Public transportation is also very safe in Korea. Sure there’s a few crazies here and there, and some lines do tend to get more crowded than others, but that goes for any public transportation system in a major city. The majority of Seoul commuters are exhausted businessmen and students that just want to go home in peace. If you’re already living in Seoul, you know how valuable public transportation has been to you. Here’s a few cultural and etiquette tips on How to Ride the Subway Like a Local! 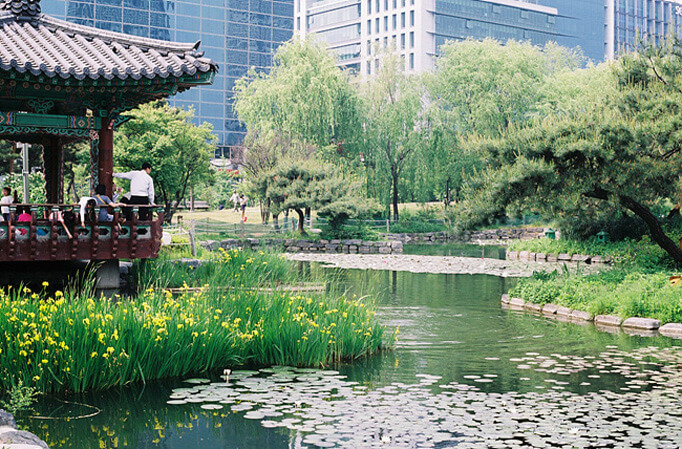 Most major cities around the world have access to nature within city borders, and Seoul is no exception. If you live in Seoul, you have Bukhan Mountain, a national park that can be climbed in less than a day for some of the best views of Seoul. There’s also countless other smaller neighborhood mountains that can be climbed. If you’re more of a water person, the Han River is one of the best places to go in Seoul. You can ride a bike, jog or even windsurf. The major parks in Seoul are kept clean, and they’re very accessible, even with public transportation. If you need a nature break from looking at a computer all day, Seoul’s got tons to offer. The Han River is one of the best places to visit in Seoul. See our post on 15 Activities Along the Han River! Korea is not home to any 3-star Michelin restaurants, but that doesn’t mean the food isn’t good. Go to any average restaurant in Seoul, and you’ll have Korean comfort foods like kimchi jjigae and seolleongtang make you feel like you grew up with your very own Korean grandma. 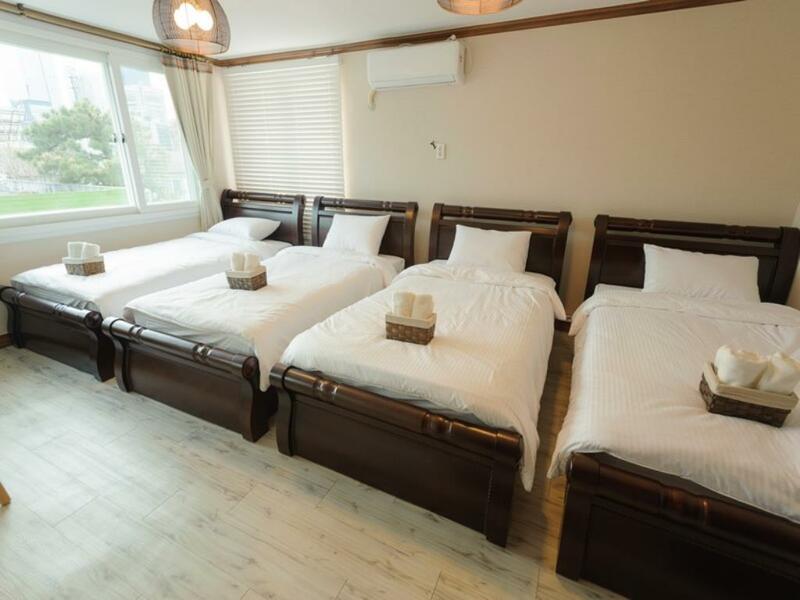 It’s also affordable for everyone; you can get lunches and dinner for 6,000 won. 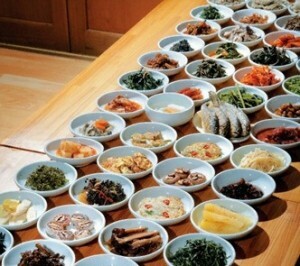 Plus, Korean food is very well-balanced with a good amount of vegetables and meat in every meal. Living in Korea will change your diet, and it’s probably for the better. Looking to fit in better? Here’s How to Eat in Korea Like a Local! 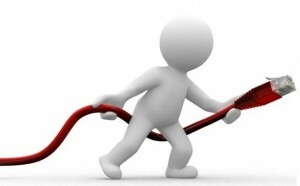 Living in Korea, you’ll be spoiled by super fast internet speeds. And in practical terms, that equals download large music albums, movies and programs in minutes and sometimes even less (when downloading from Korea-based servers). But more than speed, you’ll love the fact that you’re always connected. Busses, subways and high speed trains all have wifi. You can also go to the many cafes that offer their wifi for free. or even latch on to the plethora of unprotected wifi spots. If you’re traveling to Seoul, check out our post on 10,000 Free Wifi Hotspots in Seoul (with maps)! 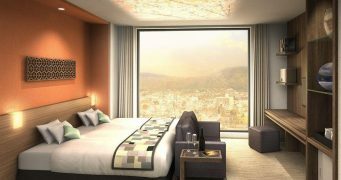 Living in Korea can be very affordable for those looking to save money. If you happen to get a job here, many companies pay for your housing. And that’s a huge money saver. But even if you’re paying rent on your own, rents can go as low as 300,000 won for small studio apartments. Hanging out with friends doesn’t have to be expensive either. 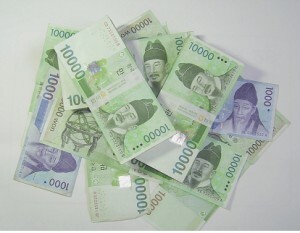 A night of singing at a noraebang or watching a movie can be less than 10,000 won. Although Korea is one of the richest nations in the world, the prices are still very affordable for many. Here’s a general overview on Cost of Living in Seoul, Korea. 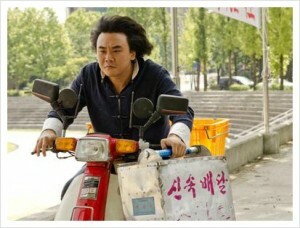 The delivery culture in Korea has been around for a while, and its developed its own unique benefits. When ordering food delivery, plates and bowls are provided by restaurants so you don’t have all that trash. They come back to pick it up. Both the environment and garbagemen rejoice. Also, delivery goes to places without addresses. You can order delivery while having a picnic on the Han River between the baseball field and swimming pools. And delivery is not limited to food. If you’re going to an important meeting but forgot your notes, you can have that delivered to you in less than an hour, too! See the next page for reasons 8-14! I am planning on checking out about moving there. I feel I need an adventurous change in my like. Fear it maybe too late though. Can’t wait til next September. ♡ everything about your site and vids! Great page…. helped a lot during my preperation for Korea. Same. Really. I intend to save up enough money to get there, tho idk how. Any ideas? I think in general South Korea is a great country to live in. I’ve been living here for five months and i must say i am mightily impressed by this country. You’re so lucky:) how did you manage to move there? Most foreigners are teachers right? Don’t forget cheap college tuition! One of my brothers favorite memories from his late winter/early spring trip to Seoul was watching nice ajeossis playing Yut in a park. We’re hoping to move there by the end of January. I laughed so hard at that last pic. 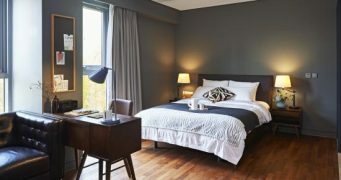 US$300 for an apartment in Seoul? I have heard horror stories that Seoul is as expensive as Manhattan? I just got orders to be there on 8-Feb, so I am rushing to get ready. Any tips? Visa? Shots? Language? Girl Friends? Taxis? Any tips would be awesome! your country is very beautiful. i love korean foods. i think people of south korea in their mind[they think] that iran is enemy with south korea.but north korea has not muslims. north korea have not believe god and Prophets.but we are friend of n.korea because they help us to have missiles to fire and launch 20 missile to military bases in iraq .and saddam decrease his missile attacks to tehran.because in war with saddam[iraq] suppported with eurpoa and china ,soviet and arabs and lanch 300 scud missile to our country. powerfull countries in west that support saddam against iran ,Unfortunately,they support israel[arsenal of nuclear and chemical weapons] against iran this time .they are supporting of Israel that has War criminal leaders isreal send terrorists to kill iranian big scientistes. but iran is quiet country beacause god helped us against all threats[for sample united stated’s attack against iran in Operation Eagle Claw in tabas]. I invite you to travel to my country iran. Monuments : the capital of Achaemenid Empire at Persepolis, 2,500 years ago. Statue of Xerxes Empire that defeat Roman Empire is bow in Kermanshah city. The city burnt in 5000 years ago in east of iran. 2000-year-old temple in Yazd city and Isfahan city that is famous and most beautiful city in middle east . Caspian Sea and beautiful forests in northern Iran, Iranian beautiful wilderness in the East and South, do you know the hottest spot on earth is located in Iran. Religious shrines : tomp of the prophets in iran, for sample the Prophet Daniel in Susa, Imam Reza in Mashhad that has fifty million pilgrims a year and even pakistan’s Christians went to pilgrimage and healing. Delicious and colorful foods :Because the different ethnic groups in Iran have customs and cuisine of their own. Iran has popular Persian poets in the world , Saadi and Hafez in shraiz city and Ferdowsi in mashhad city. I am a Korean and I lived in Korea for 7 years. 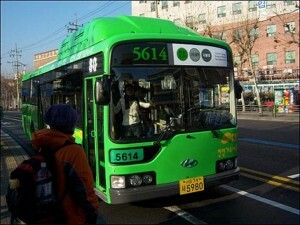 Korea especially Seoul has best transportation in the world. If you have chance to go to Seoul, use subway to move around, it is sooooooo cool. Cheap, clean and most importantly Free-wifi. And also Korea is extremely easy to get a job if you are an English speaker. There is a lot of ‘English Preschools’ and all of them has a lot of money. And that means they pay teachers very high. Hey! I know English so can I get a job in Seoul with a business degree ? My local Korean restaurant (Meekak [Hangul plz]) has the button. My family loves it! I want to move there but how do I move in Seoul. Please tell me some ways to get settled in Seoul . Would love to retire to a city like Seoul. Koreans seem like such intelligent, peaceful people. Plus, once i’m old, living in a city like Seoul would be super convenient. Easy to get around using public transportation and just about anything can be delivered to me super fast. Just need to learn to speak Korean. Although, wouldn’t be surprised if a majority of the people there spoke English, as opposed to countries like China, where I heard a very low percentage of Chinese know English. btw, i’m American. I liked it very well, congratulations.